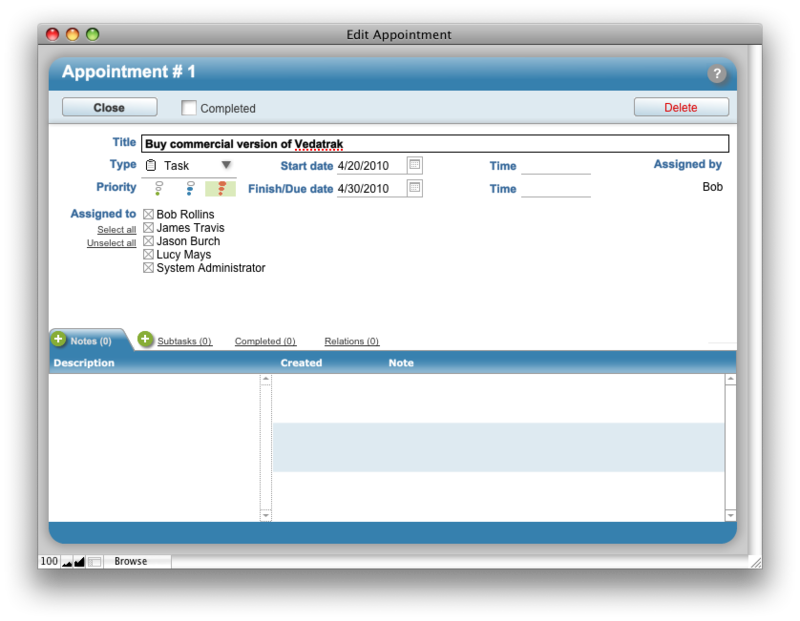 Calendar Day View and Dashboard: Click Edit/View near the appointment. Calendar Week View and Calendar Month View: Click the appointment. Contacts Detail View, Mail Detail View, Mail List View, Files Detail View, Orders Detail View, Invoices Detail View and Products Detail View: In the Calendar tab in the Linked Items Area, click Edit/View near the appointment to view and edit linked appointments. Click the Close button to save the appointment and close the window.